RXWarmth Blanket Warmer (2-3 Blankets). When plugged into an available power source, the BLANKET WARMER keeps blankets at a safe, constant temperature, always ready for use. 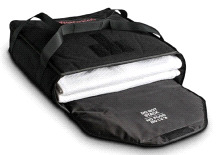 RX Warmth Medical Blanket Warmers provide the calming effect of heat and the security of a certified medical device designed to keep your patients safe and warm. - Fold blankets, do NOT roll. - Do not stack any items on top of any RXWarmth blanket warmer. Overheating can occur.